A fan of the ever-so-awesome YouTube channel “3 Mormons” recently asked an interesting question that I had the opportunity to address. 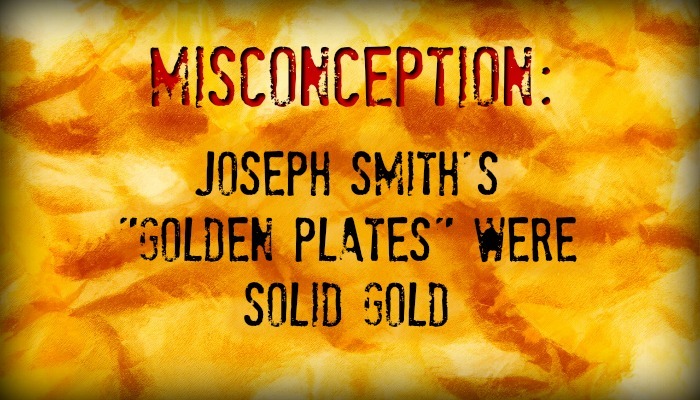 In essence, he asked why the eight witnesses describe Joseph Smith’s gold plates as only having “the appearance of gold.” They don’t just look like gold, they are gold, right? Riiight? Probably like you, I grew up thinking the plates were solid gold. I’d be willing to bet that when Joseph first saw them, he probably thought the same thing. 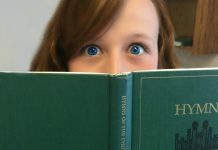 And I doubt the Angel Moroni took the time to explain to Joseph the metallurgical makeup of the record. None of the witnesses of the golden plates testifies that the plates were made of solid gold, though Joseph’s critics both then and now cling to the idea that they were in order to drive a stake into peoples’ testimonies. How? Keep reading. Martin Harris described the plates as weighing between forty to sixty pounds. Joseph also said they weighed about sixty pounds. 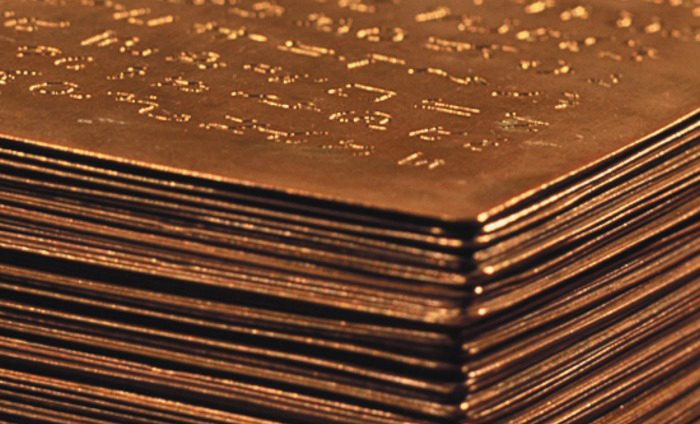 Given the estimated dimensions of the plates (about six inches wide, eight inches long and six inches thick, according to Joseph) and factoring in the possible air-space between metal sheets, if the plates were solid gold they would have weighed about one hundred pounds, according to metallurgist Read Putnam. While that weight is still very possible to move around, it’s also still well above Joseph and Martin’s estimates — one point critics like to hold onto. Additionally, gold is an extremely soft metal. It would have been relatively easy to engrave into, but the sheer mass and softness of the plates would have warped and compromised those engravings over time. But never fear! This is where things get interesting. Keep reading. An example of tumbaga alloy via Wikipedia Commons user Sailko. Tumbaga is an alloy of gold and copper, the only two metals known to man … The early American smiths used the alloy of tumbaga extensively. 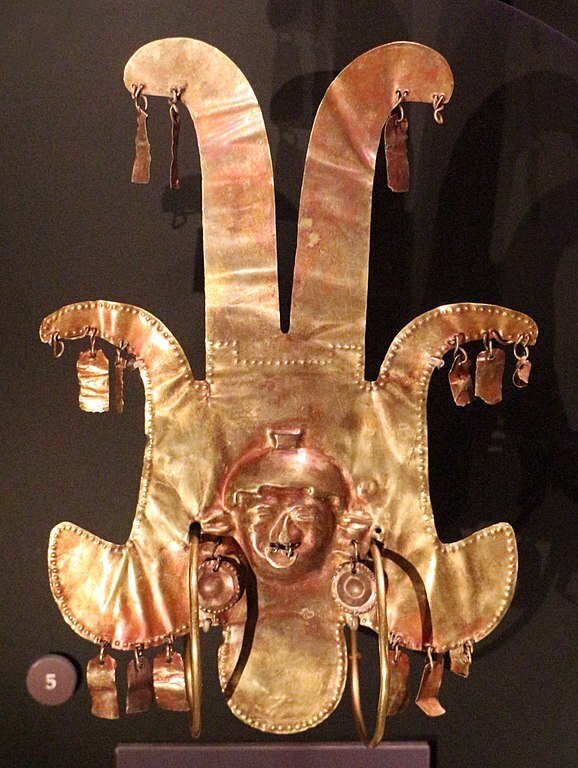 … Studies have been made of metals of pre-Hispanic Panama and the people who possessed them. Of the 15 cultures studies, all worked with gold, 9 employed silver, 11 or perhaps 13 knew copper, and 8 worked tumbaga. … it is apparent that whatever the alloy or object, once the gilding was applied, the result to the eye would be gold. … a block of tumbaga of the dimensions for the plates of the Book of Mormon and with 8-carat alloy and 3-percent native impurity would weigh 106.88 pounds. Using such a block as a beginning point, 50 percent of the weight should be subtracted for air space; thus the weight of the stack of plates would be about 53 pounds. Putnam also mentions that sometimes silver can be included in the alloy as well (which is also mentioned in the video below by Book of Mormon Central). 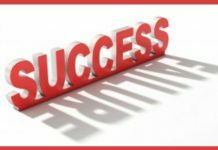 I’ve left out an intimidating number of additional evaluations, factors, and calculations, but if you care to delve into the details they’re all in Putnam’s article. 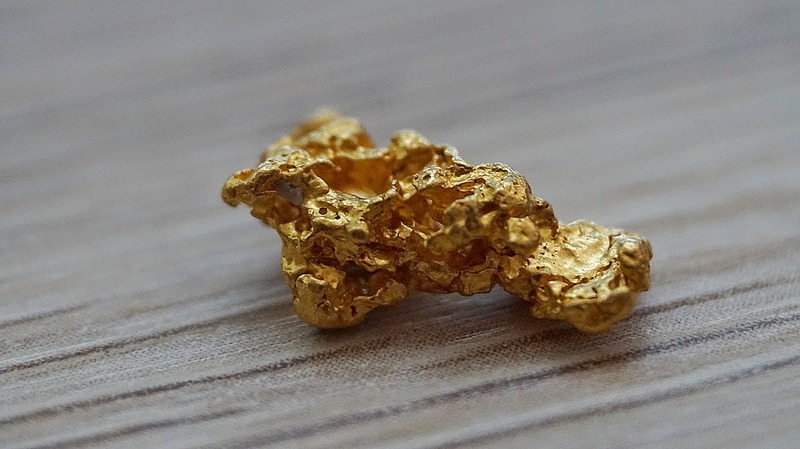 The takeaway is that this alloy was used in the Americas anciently, maintains the yellow color of gold yet can weigh half as much and is durable enough to preserve potential engravings. I’m not declaring doctrine here, but tumbaga does fit the bill. 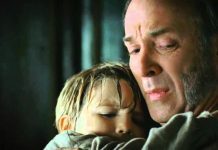 Yes, there was probably gold ore in the golden plates, but not nearly as much as we might have thought and what those who attempted to steal the plates from Joseph might have hoped for.